As rumors of an Apple-branded television set begin to die down, the company's extant living room foray— the Apple TV set-top box— is quietly posting strong sales and impressive growth, new NPD data shared with AppleInsider reveals. Just as Apple's iPhone and handsets running Google's Android operating system have combined to take over the mobile phone market, the Apple TV and rival Roku system together dominate the third party set-top box market with approximately 80 percent between them, according to data from consumer research firm NPD. NPD analyst Benjamin Arnold shared the numbers with AppleInsider during an interview. The market for streaming accessories is growing quickly, with sales up more than 30 percent on a unit basis over the last twelve months. Apple's "hobby" has posted a 23 percent gain over the same period, Arnold says. Despite not seeing a hardware refresh in nearly two years, the Cupertino, Calif., company has kept the Apple TV fresh with regular software updates, which Arnold believes are ultimately more important to consumers than speeds and feeds. "People buy Apple TV because they want to solve a problem— they want to get content from the small screen to the big screen," he said. 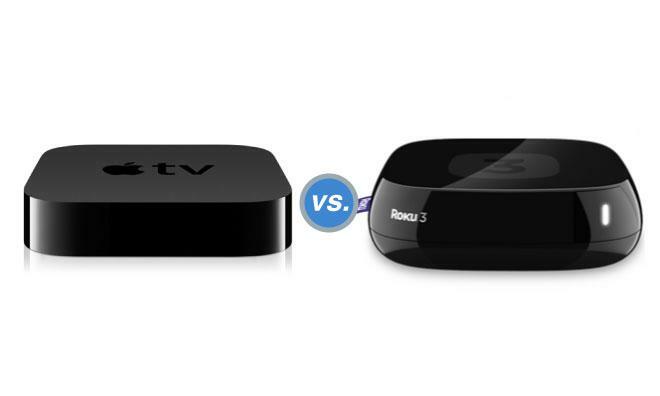 Apple and Roku maintain a tight grip on the set-top box market. 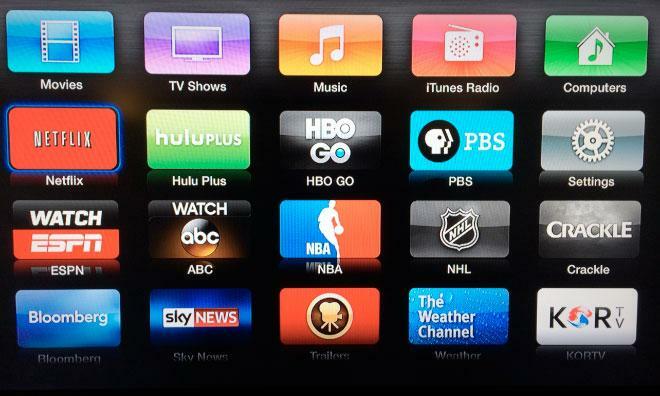 Since its release, the Apple TV has become an essential part of many families' entertainment workflows. Where a Mac mini may have once done duty under the television as a dedicated home theater device or a MacBook Pro may have become the center of attention while positioned on a footstool, a single click can now beam audio and video seamlessly and without wires from nearly any Apple device to the Apple TV and from there to a large HDTV display. Even an iPod touch, when paired with an Apple TV, can become a capable home media center. In addition, Apple regularly adds new channels to the diminutive device, and has recently begun tying live network television into the streamer. A summer update brought HBO Go and WatchESPN. In addition, WatchABC— which brings content from local ABC affiliates —was added this month. Though the premium television and sports options still require a cable subscription, Apple is said to have begun negotiations directly with content providers in order to remove that stumbling block. The company brought former Hulu marketing and distribution chief Pete Distad on board in July to move those negotiations along. Asked for his thoughts on the oft-rumored Apple-branded television set, Arnold expressed doubt that Apple would move in that direction anytime soon. He believes Apple would rather focus their efforts on the Apple TV, where content— an area Apple knows well— is king.